What Egypt lost in 2011 is more than a novelist; Khairy Shalaby is like a free flowing river whose branches spread across a wide landscape. It is usual to see Khairy’s reviewers and critics associate him with the presentation of socially marginalised characters, to the extend he seemed like the historian to such groups. But this was too fast of a judgement, for Shalaby was open to narratives of many different forms, reflecting deep knowledge and experience, and his closeness to changes in rural Egyptian areas, reflected in such works as Garden Mint and the Trilogy of Hopes. Here, Shalaby wrote differently to the likes of Yusuf Idriss and Abdel-Raham El-Sharkawy, who present rural Egypt from the perspective of the upper class. Shalaby wrote from his childhood memories in a lower class family. At the same time he captured the city, and the many levels of society, in such as the books Ahmed the Fishseller’s Sleeps, and Attia’s Wholesale Store. Shalaby’s biography offers keys to understanding this ability and life experience, for he worked in many different fields that have nothing to do with writing or creativity, simply to earn his bread. He worked in cotton gathering, as a tailor, a carpenter and even a daily worker. During this period, he visited most of Egypt as a street seller, which benefited his writing, allowing him to portray the social and economic changes that led many to live next to the dead in cemetries, for want of their own homes. But in Shalaby’s hands, this reality was never dreary, but rather magical, and full of humour, as in his collections Nail Justice, and What Cannot Be Guaranteed, as well as his novels The Royal Mule, The Siniora and The Braves, an unequalled piece of 500 pages narrated by a dog! Existential issues were the subject of much of his writing, as well as his keenness to secure justice for women, focusing on the oppression they face across all social classes. Shalaby achieved all this and more with distinguished language full of different forms of storytelling; though eloquent, his writing isn’t devoid of the freshness of everyday life. The term “storyteller” nearly describes Shalaby’s style, stemming from his childhood obsession with folk tales in his village, Shabbas Ameer, and from his deep knowledge of popular heritage and writing styles, like A Thousand and One Nights, in addition to his keenness to explore a narrative language inspired by these sources of literature. Only in his final years did Shalaby received due honor as a great writer. His works were previously unknown, all 75 books. But Shalaby was not only a novelist. He was also a researcher, an investigator, and in some senses an excavator. Shalaby once uncovered articles by Taha Hussein in a famous case linked with the controversial book On Pre-Islamic Poetry, leading to the rehabilitation of Hussein in the conscience of intellectuals. His book, Taha Hussein’s Trial, was published in 1969. In addition, he discovered writing for the theatre by the Egyptian hero Mostafa Kamel, entitled The Opening of Andalusia. Another piece he discovered belonged to Sheikh Ameen Al-Kholy, entitled The Monk. 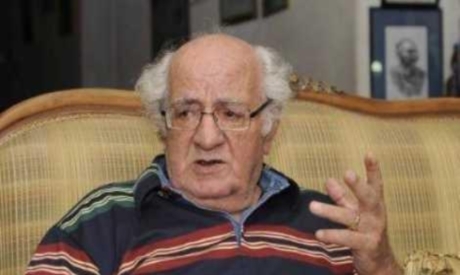 Unlike many of his generation, Shalaby never belonged to any political groups famous in the 1950s and 1960s, explaining this through his passion for writing and speaking, which kept some groups away, fearing he could not keep a secret. Direct politics was not in Shalaby’s nature, though he held in great respect those who engaged in it, as evidenced in Mamluks Desert, which can be seen as part of the biography of the intellectuals of his generation, documenting the torture they suffered. Shalaby’s presence shone with his portraits of famous Arab intellectuals, included in a number of books such as Egypt’s Notables, Lovers Company and Clusters of Light. His last book, published nearly two months ago, entitled Company Joys (company meaning friends and close acquaintances), includes a collection of biographical articles published in Al-Ahram newspaper. This decision he took after long consideration, comparing his own biography to that of famous Colombian writer Gabrielle Garcia Marquez, perceiving that the writing of a biography sheds light on all corners. Indeed, it’s difficult to read the book without knowing that closeness to death is what allowed him to write his last story.